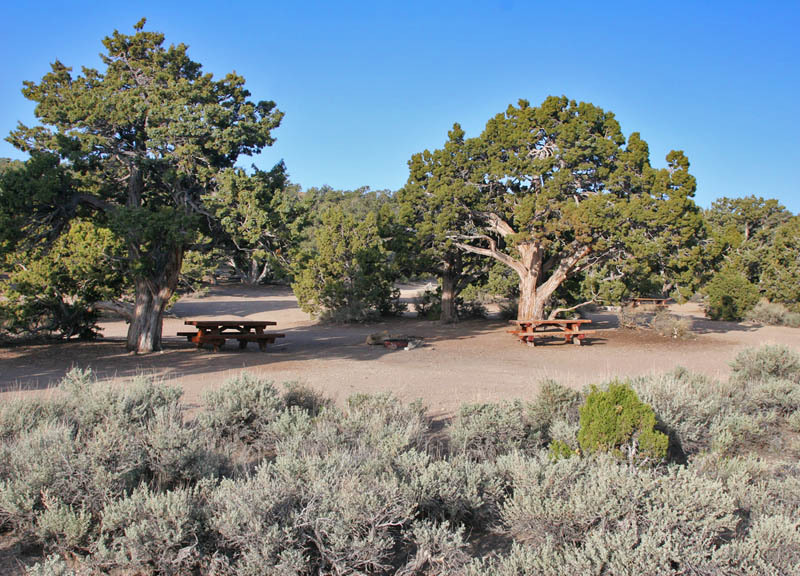 Grandview Campground is located in the White Mountains east of Bishop, California and is a spectacular location for amateur astronomy, hiking, photography and camping. so visiting them requires the stamina to tolerate high altitude and cold temperatures. Be prepared for quickly changing weather during any season. in both directions requires vigilance and a good set of brakes! 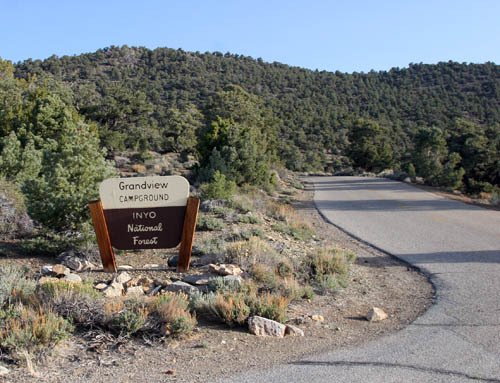 The turnoff to Grandview Campground is signed as shown above. 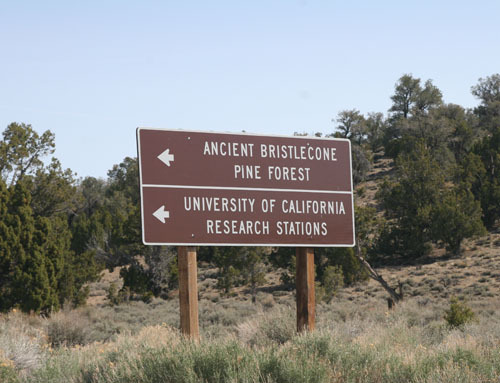 fields, including astronomy, physics and physiology. 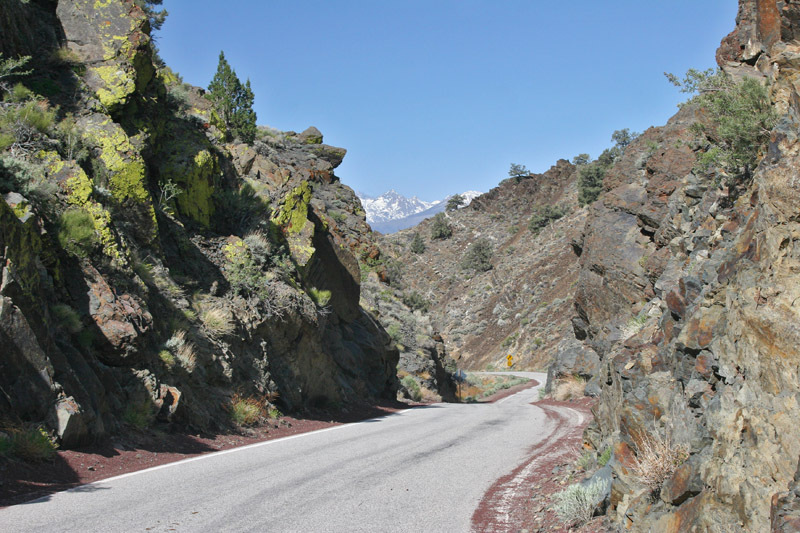 Pass Road, one arrives at the entrance to Grandview Campground. and the maximum stay is 14 days. an astronomer and prefers to have a campfire in the evening. 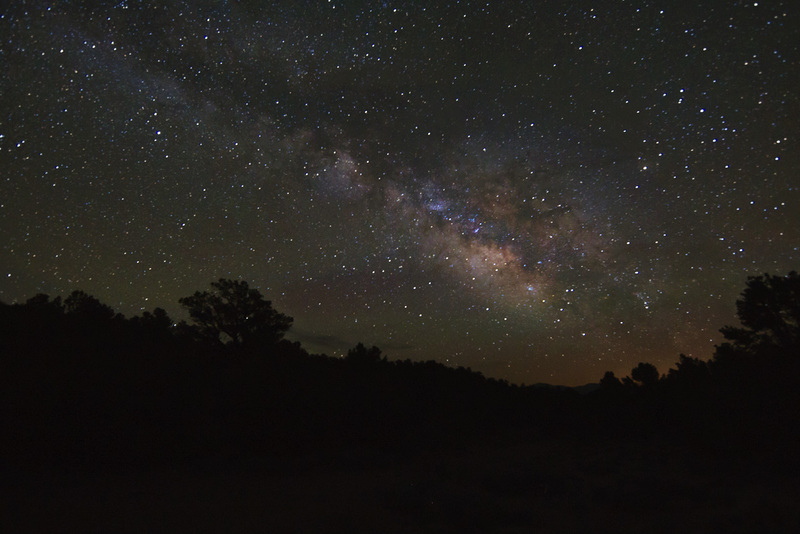 Grandview Campground is a very dark sky site perfect for astrophotography. including green, red, yellow and blue.